Do you or someone you love have a food allergy? Valentine’s sweets are everywhere right now, but before indulging make sure you check out the ingredients to avoid a potential gluten or dairy disaster. 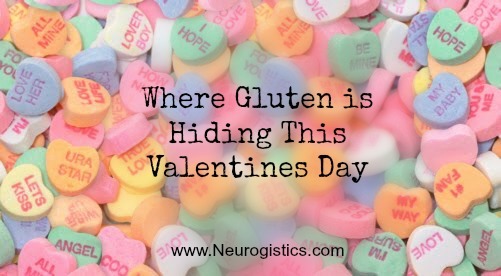 Even if you read the ingredients, gluten could be hiding in those heart shaped boxes. Here is what you need to know about gluten-free candy this year. If you or your child has a gluten sensitivity or Celiac Disease you already know you’ve got to be careful when giving them treats. But when learn which goodies are great and which could have gluten it makes your Valentines Day that much sweeter. Dove Chocolate (which also makes M&ms) – is almost always gluten free when it is milk chocolate. Therefore, you can feel reasonably confident buying Dove chocolate products for Valentine’s Day, provided you check the label. Mars Corporation labels wheat, barley, or rye sources if they are in the product. However, Mars’ seasonal items may be problematic according to about.com’s Gluten & Celiac expert Jane Anderson . Reese’s Peanut Butter Cups - These peanut-y treats appear on Hershey’s current gluten-free list and come in a variety of Valentine’s Day-specific wrappers. However, the heart shaped ones are NOT considered gluten-free. Sweethearts Conversation Hearts - Conversation hearts made by Necco, and are considered gluten-free. When buying conversation hearts, make sure to AVOID of Brach’s or Mayfair’s versions of the same candy, as those are not considered gluten-free. 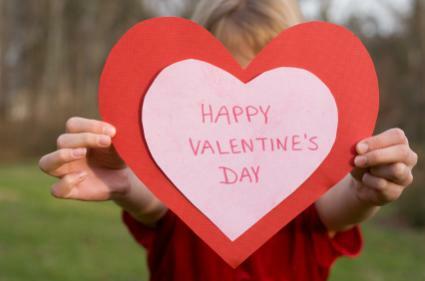 The following candies marketed specifically for Valentine’s Day are not gluten-free. Look on the label if it was made in a facility that could have cross contamination. Be mindful that any chocolate candy with “crisps” “crunch” or “cookies on the label is likely to have wheat flour or barley malt, so check carefully. Have a Happy Valentine’s Day this year and consider making your own healthy treats at home with your partner or your little love bugs. Share yours below or on our Facebook page.